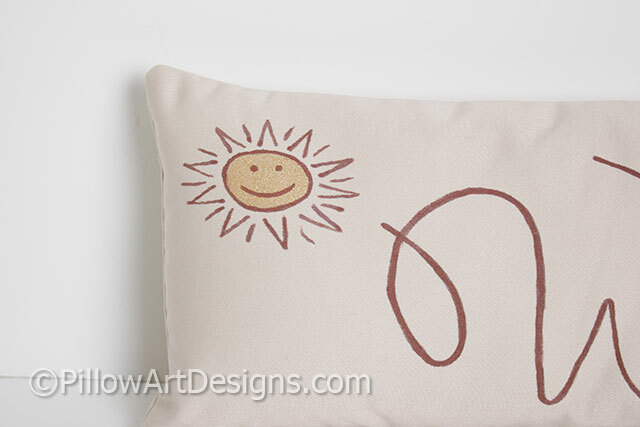 Small pillow with name and metallic gold sun graphic hand painted on the front. Name painted in chocolate brown paint. Pillow measures 6 X 17 (approx) and has envelope closure. Fabric is beige cotton polyester twill, fully lined with white cotton polyester. 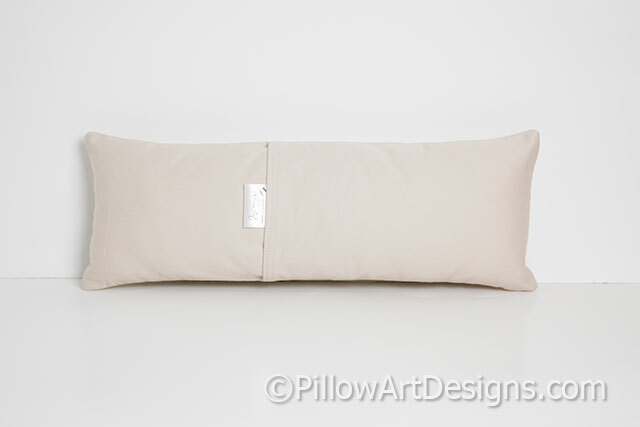 Pillow comes stuffed with hi-loft polyester fiberfill, no need for an insert. Seams are double stitched and overcast. 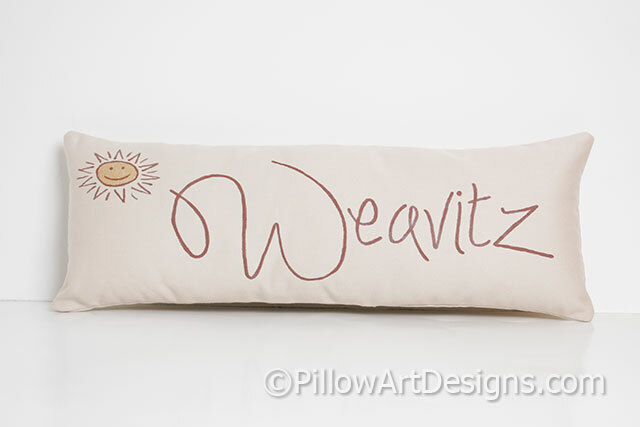 To order, purchase this listing and remember to send me a message with the name you wish for the front of the pillow.